Patients are often given stories, excuses and reasons but not the truth. How will patients ever know the truth? Honestly, most parents don't have the time or energy to consider whether medical malpractice was the cause of their child's injuries because they are too busy taking care of their child's special needs. But they are also worried about their child's future--especially what will happen once the parents are gone. We hear that over and over when we talk to parents of disabled children. You need information. You need answers. Cerebral palsy, brain damage paralysis and other disabling conditions are sometimes due to medical malpractice or negligence, other times they are not. And you won't know the answer until you have a thorough investigation of the medical records-- if the injury happened when your child was a baby, that means all of the prenatal records, labor and delivery and NICU records. If it happened later, it means all hospital records, tests and scans. Maybe your child has a genetic condition or disease that couldn't have been prevented or treated, and nothing could have been done to change things, or something happened to your child even though the doctors followed every safety rule. 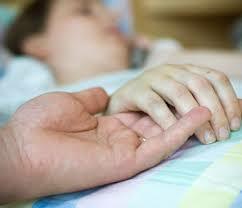 Maybe your child was diagnosed at the hospital or discharged too early and didn't get the treatment he/she should have. Or the doctor didn't follow up on test results he/she ordered and the lab or specialist never called you about them. Or they didn't talk to each other about your child's diagnosis, what symptoms to look for, or treatment your child needed. Since we have represented and helped many families and children in medical malpractice cases over the years, we work with established experts, consultants and specialist n investigating your case before coming to any conclusion. And if our investigation shows the hospital, HMO or doctor followed the appropriate patient safety rules, we'll tell you that. At leas you have the information. At least you'll know.